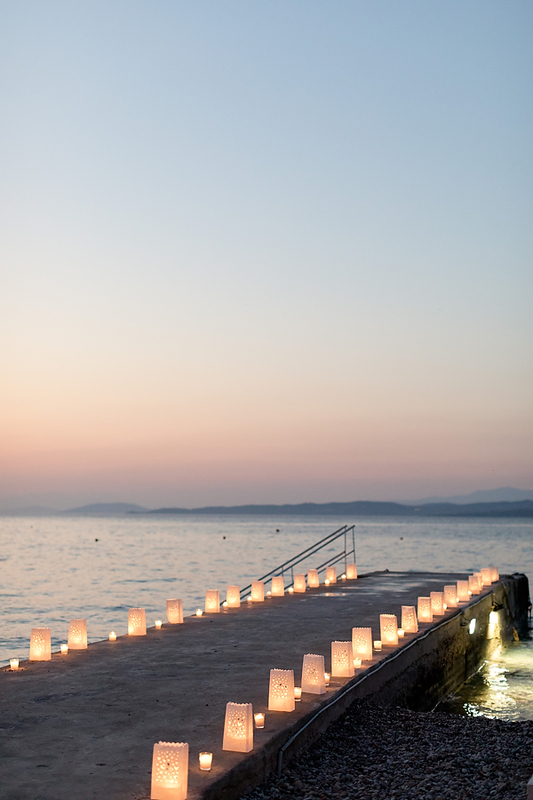 Some say love, it is a sea, some say love, it is a hunger, an endless moving need. 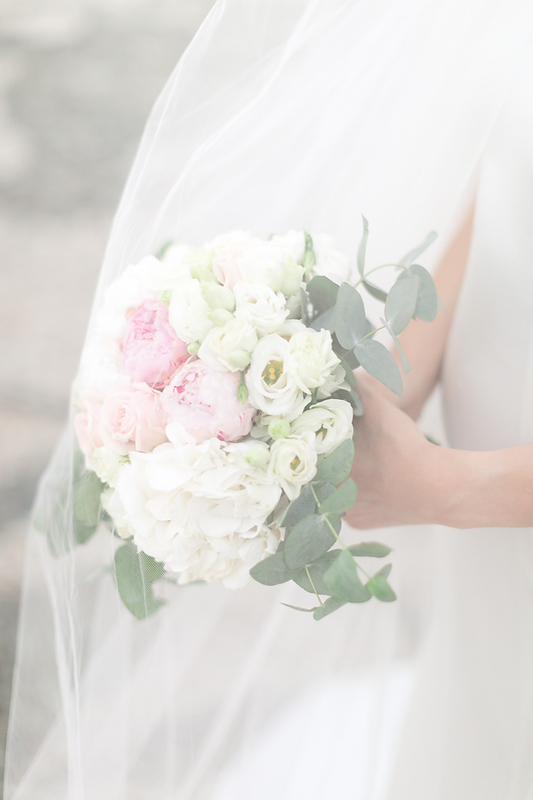 We say love, it is a flower, and they are only seed. 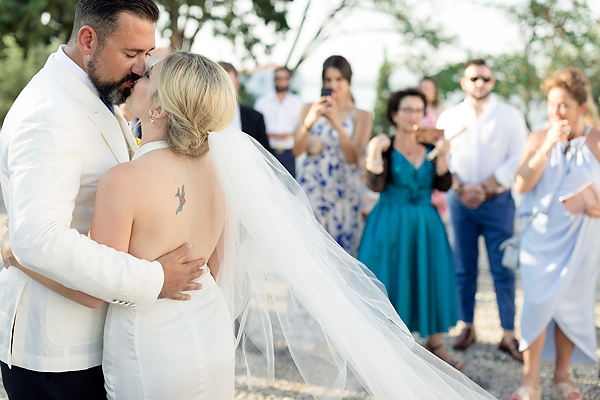 Michael and Elizabeth said that love is the dream afraid of waking, yet that dream, they experienced while planning a wedding in Greece! 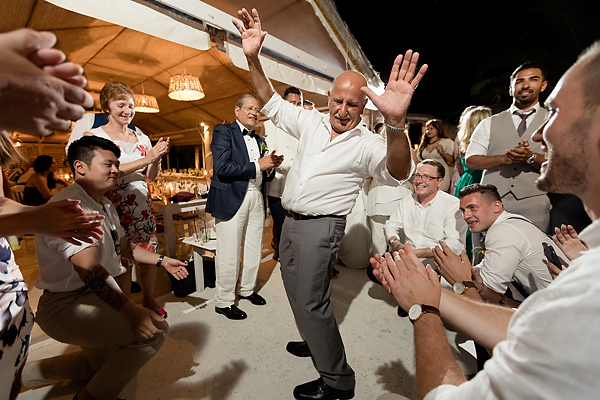 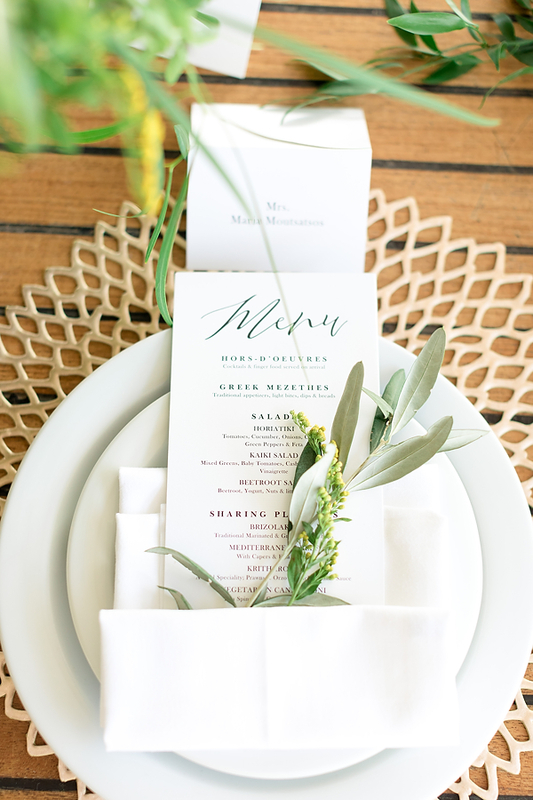 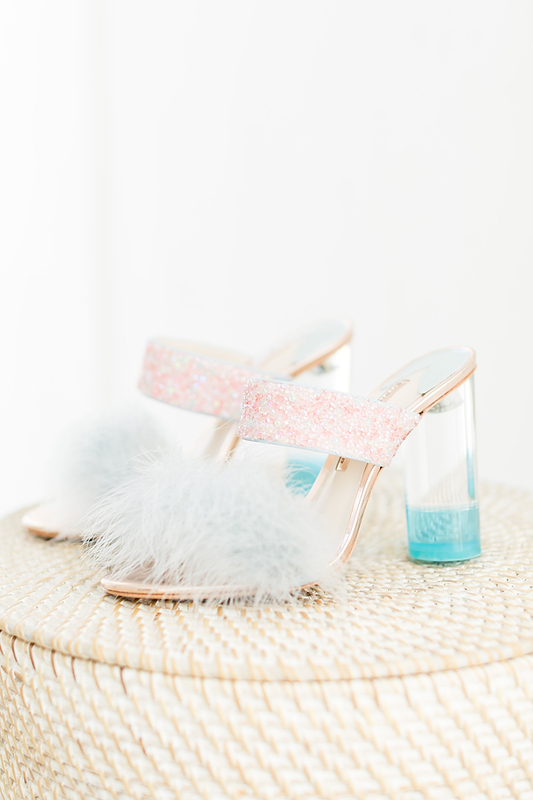 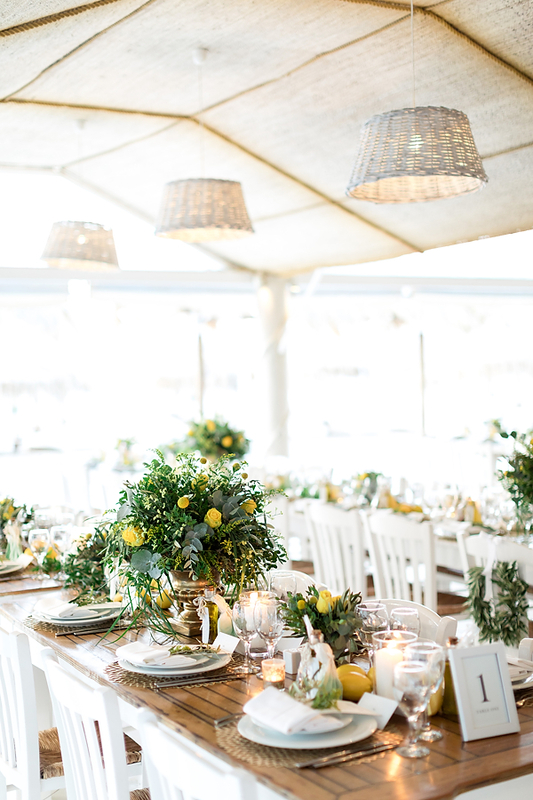 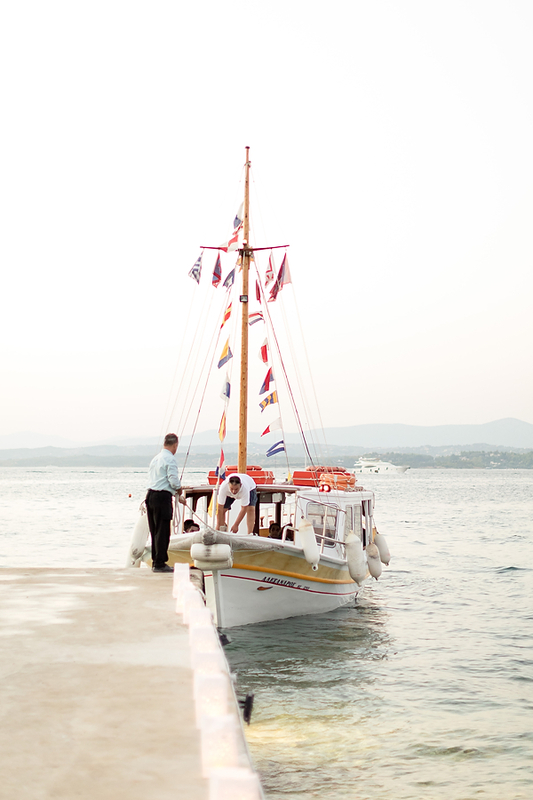 Both have pictured a vivid rather bright, summerish Greek island wedding. 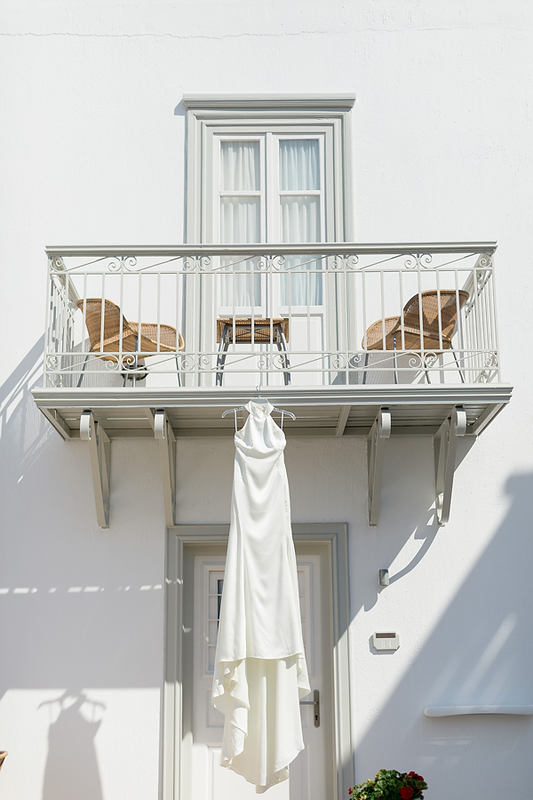 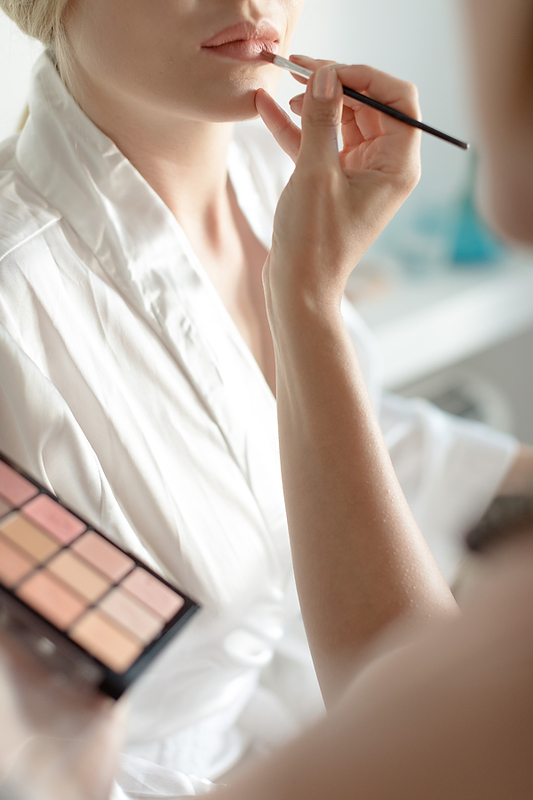 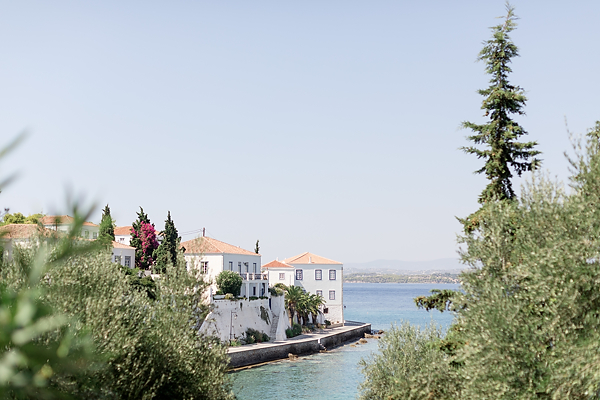 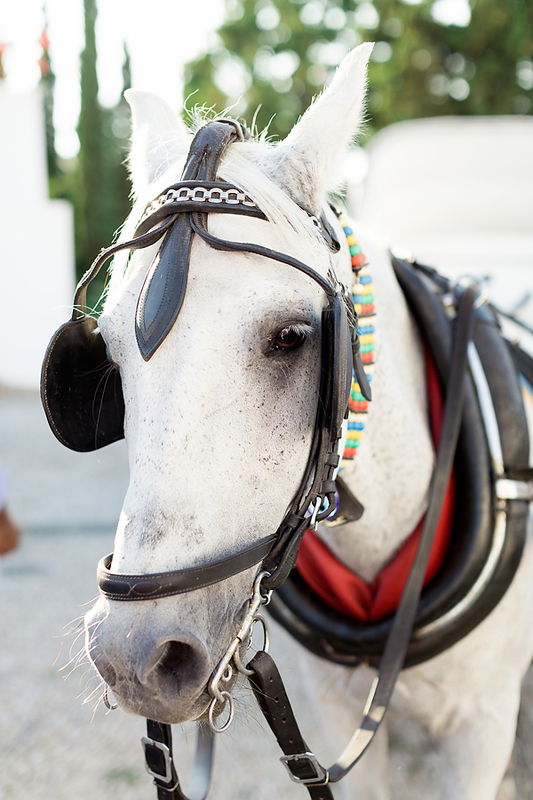 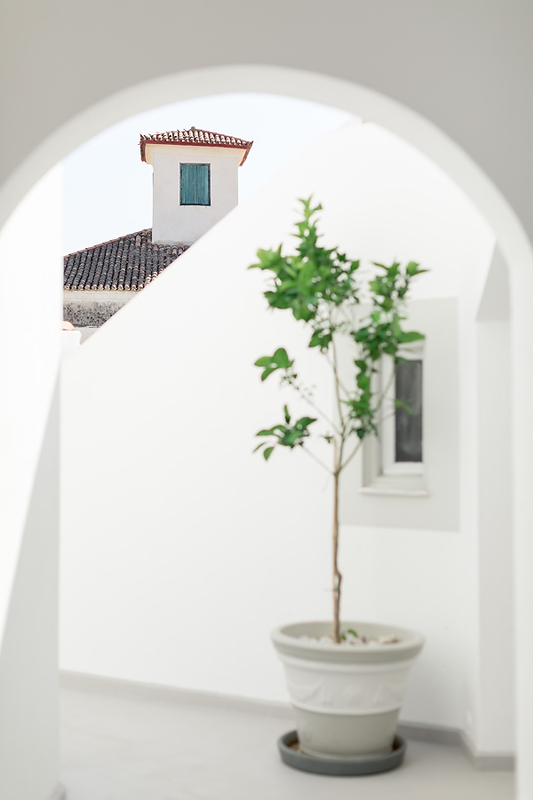 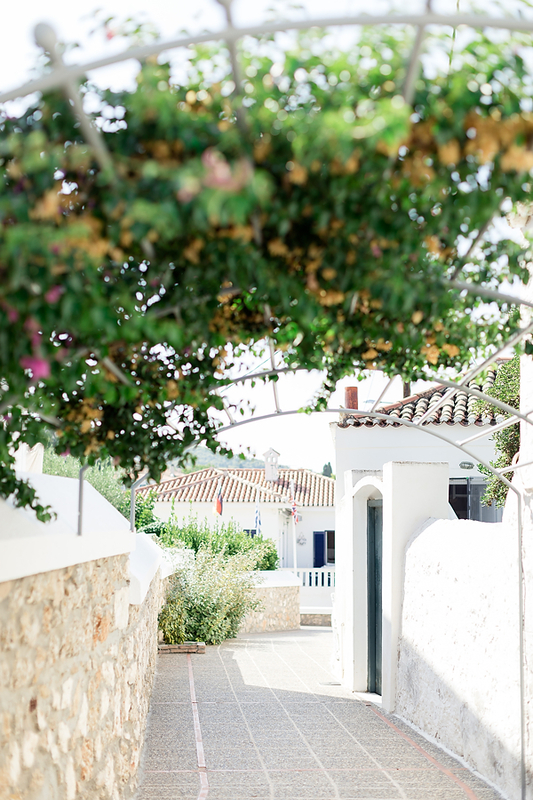 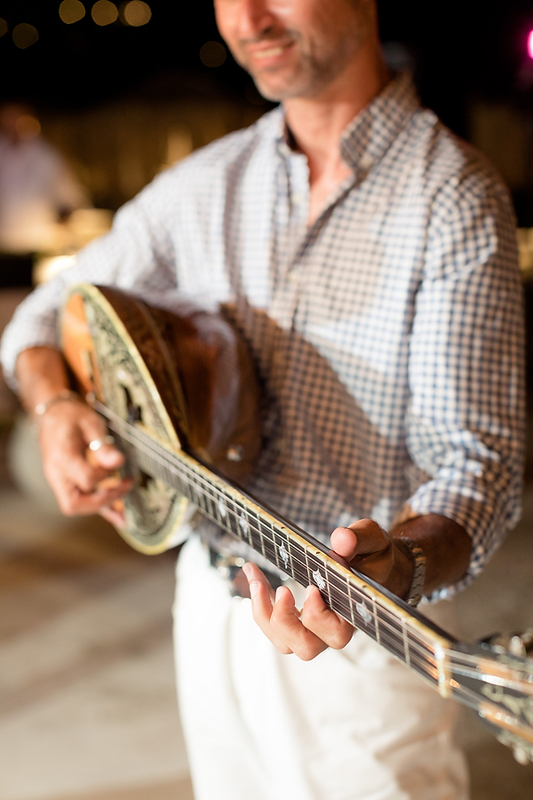 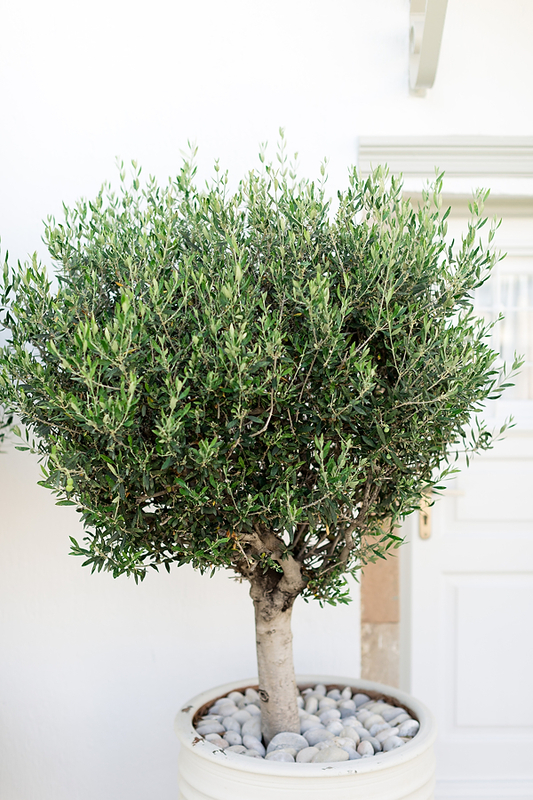 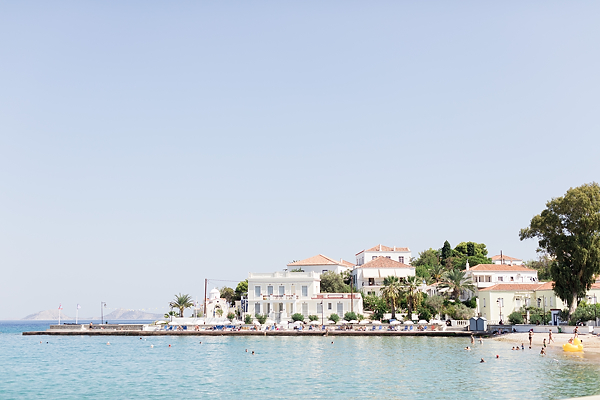 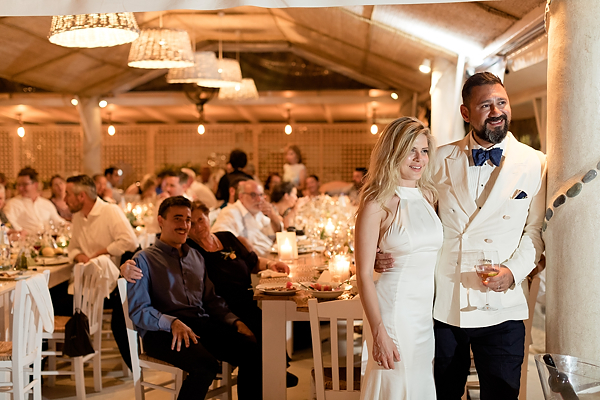 Dreams In Style wedding planner, with exquisite aim, accomplished that dreamy settlement in Spetses. 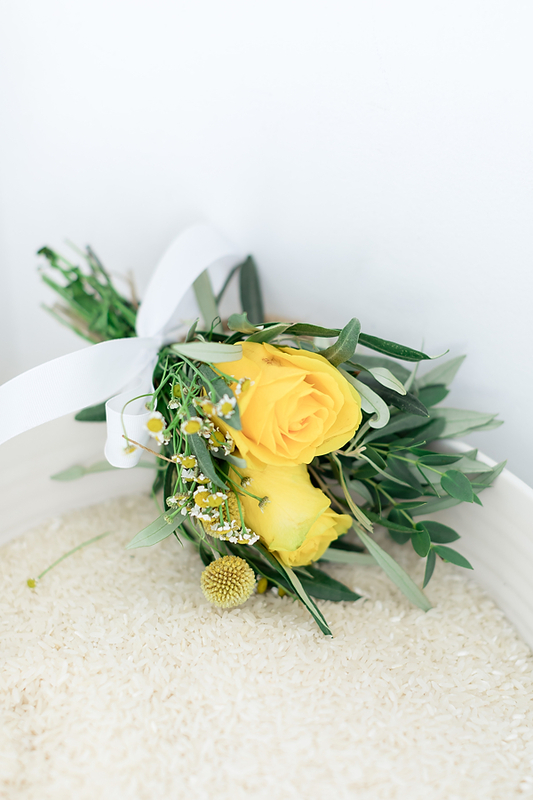 Who says roses are red? 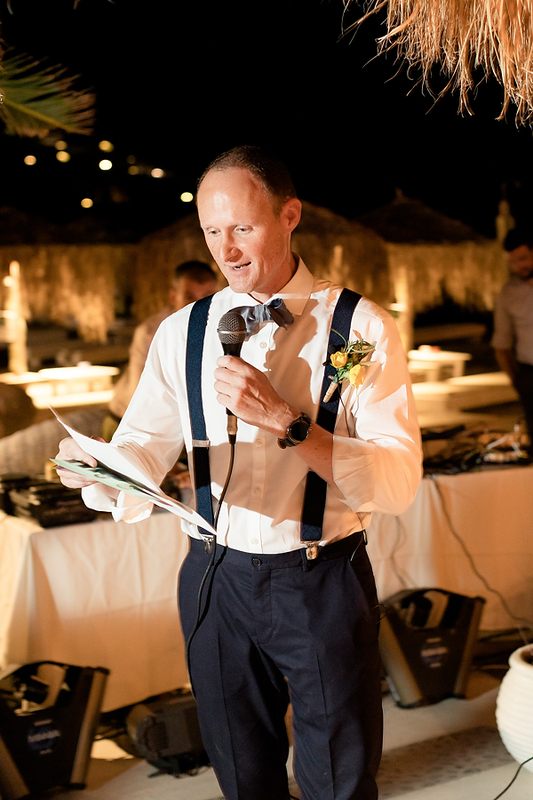 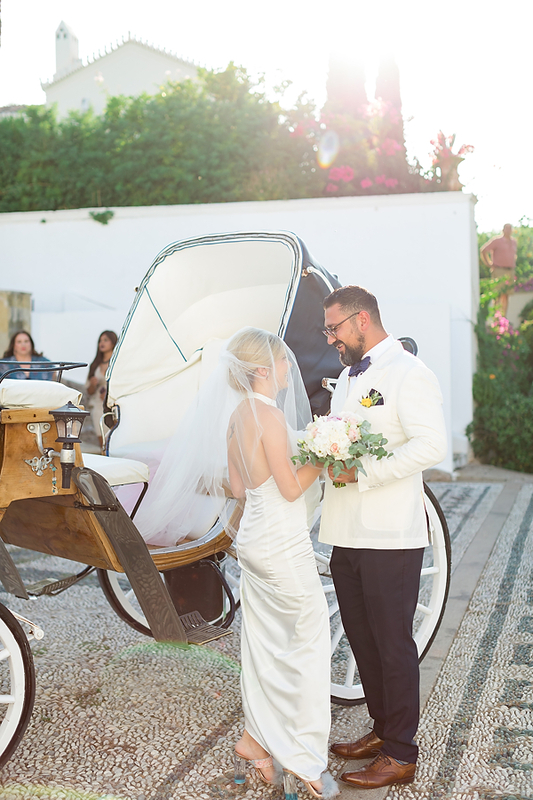 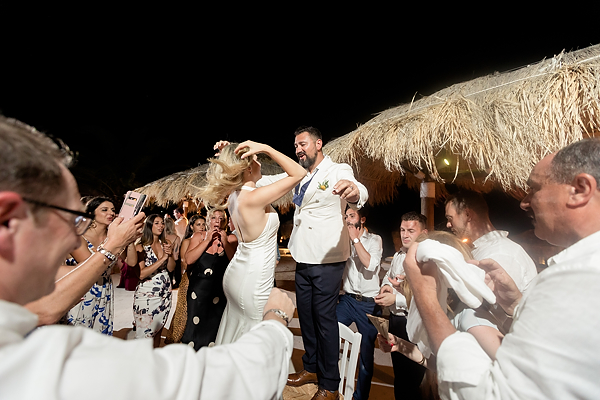 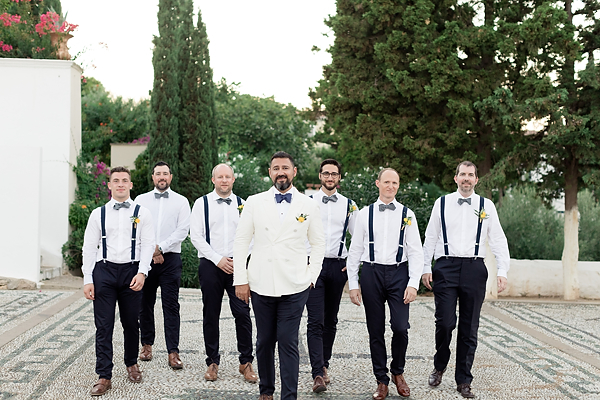 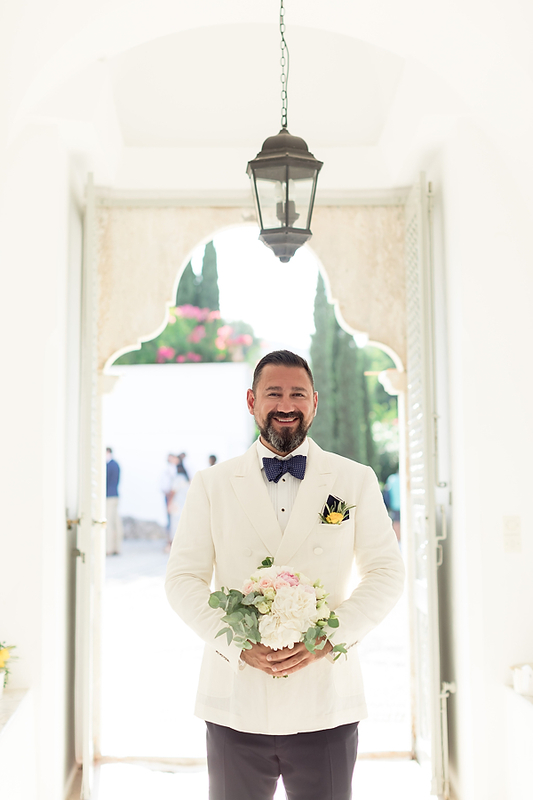 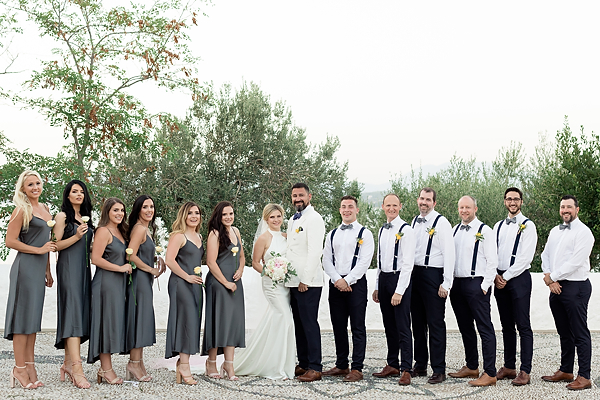 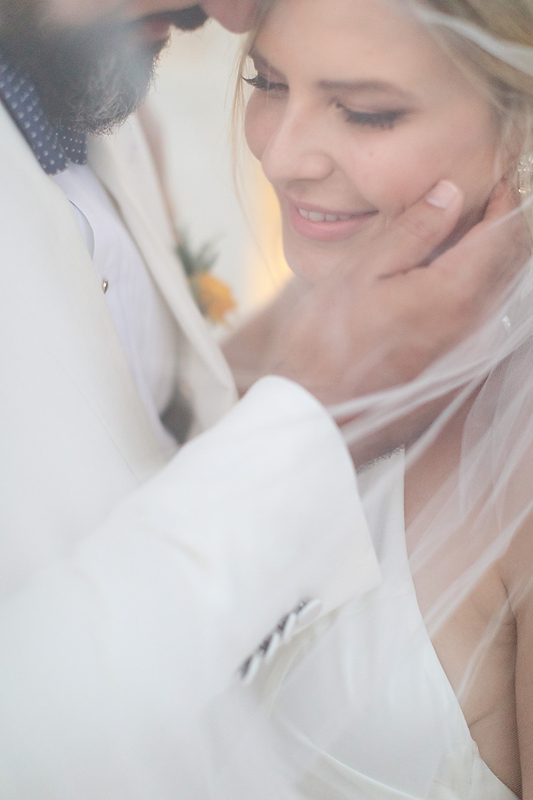 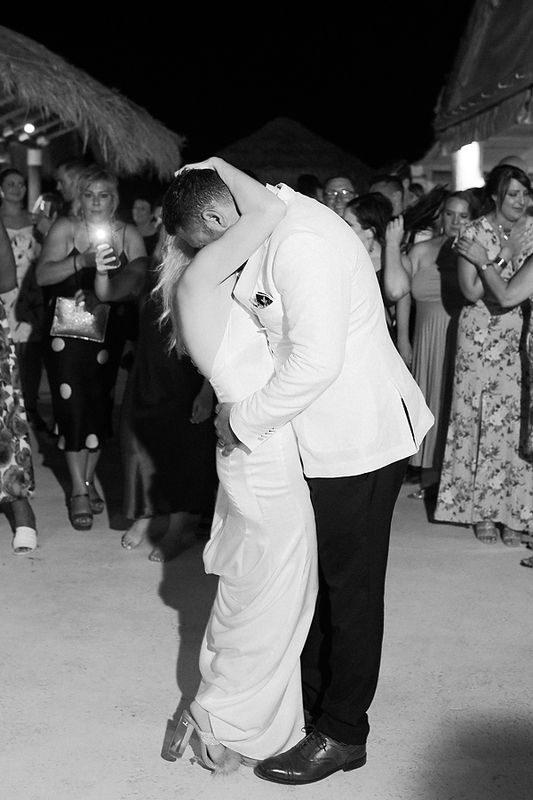 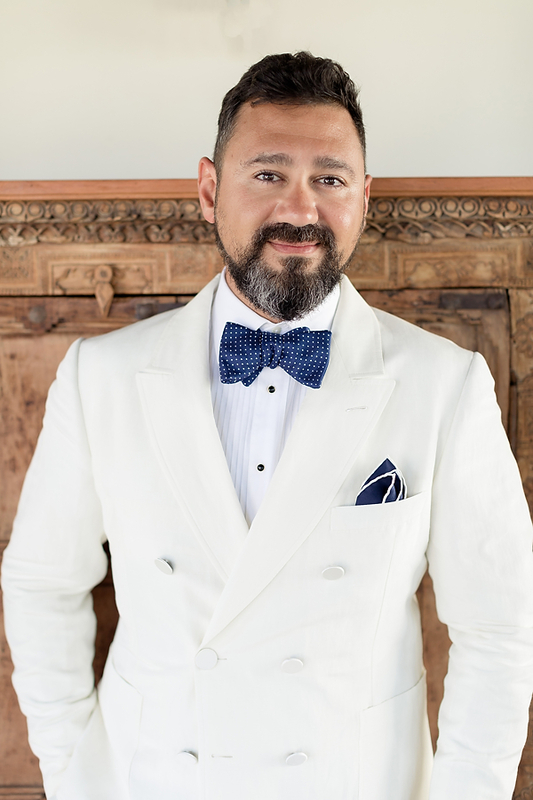 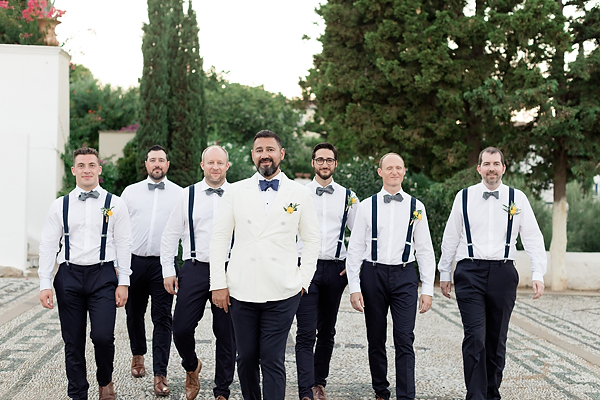 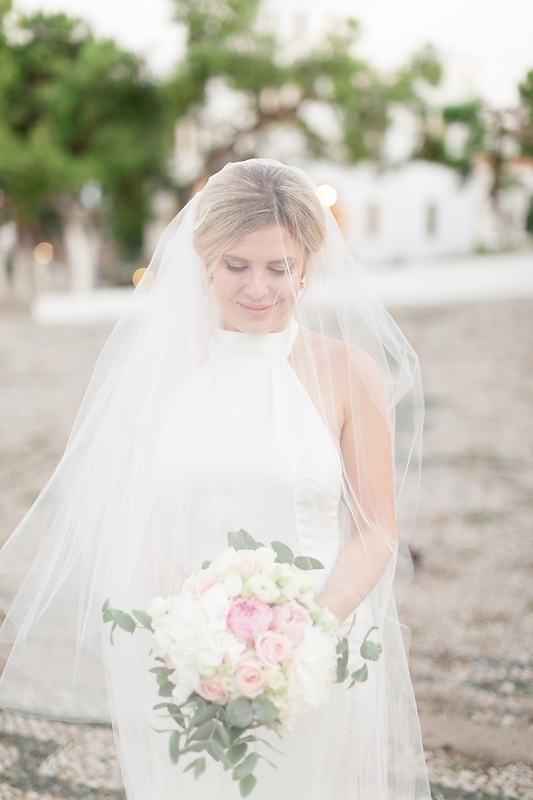 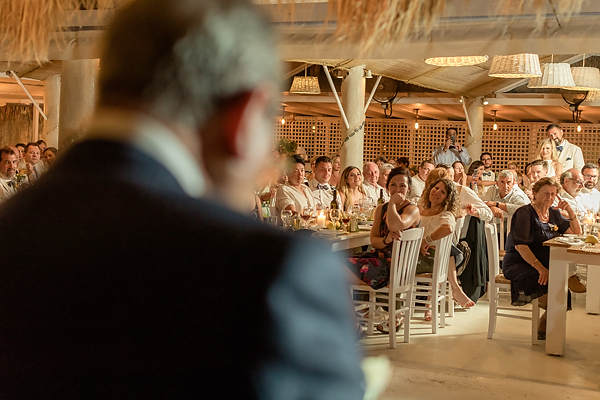 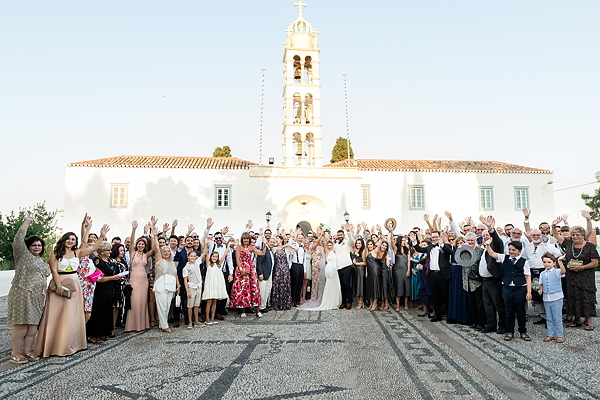 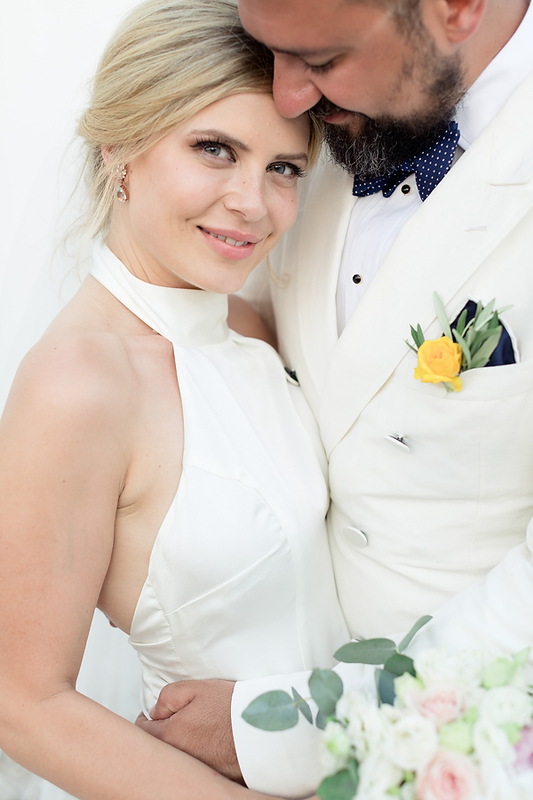 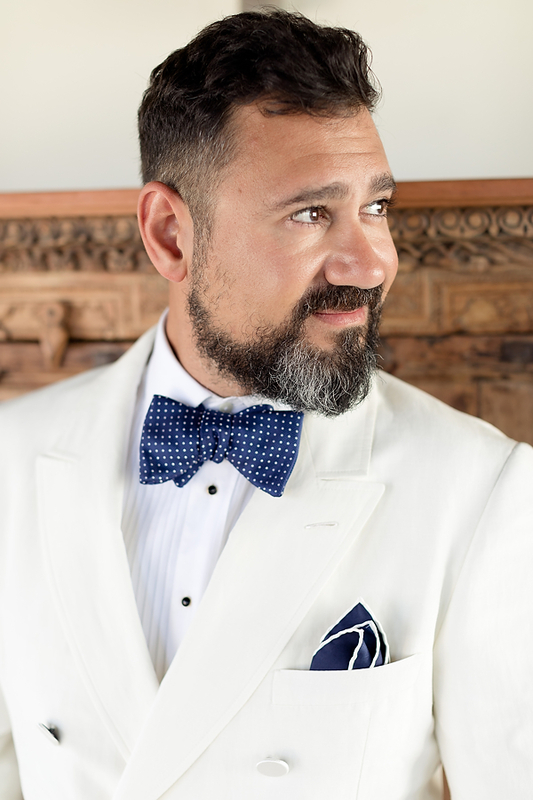 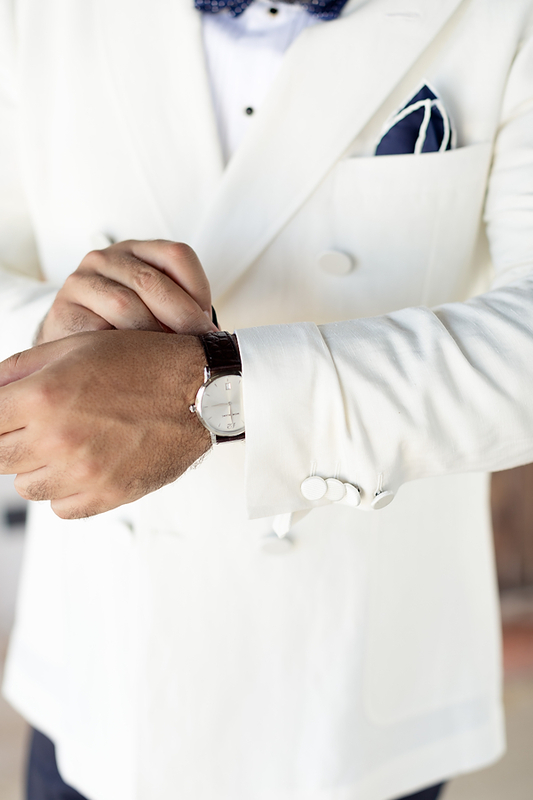 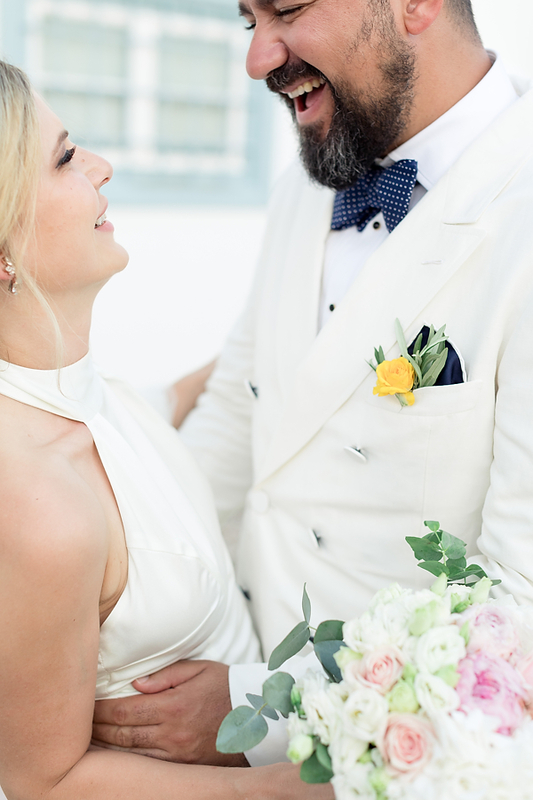 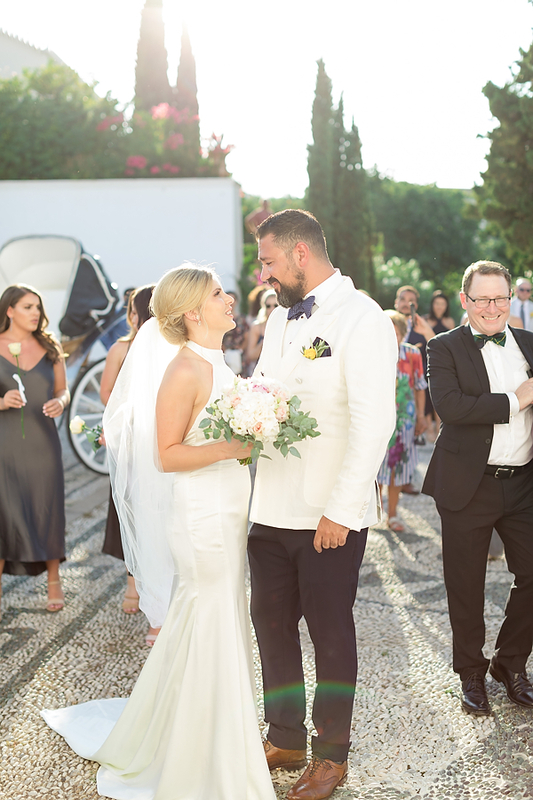 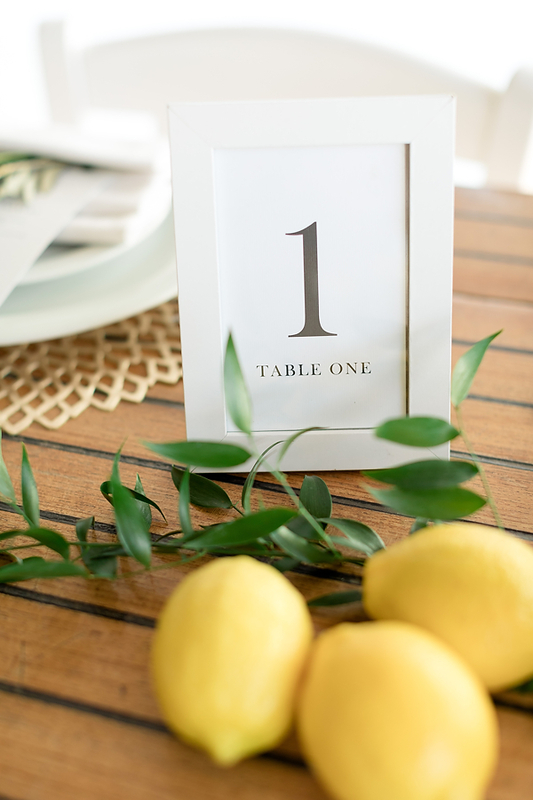 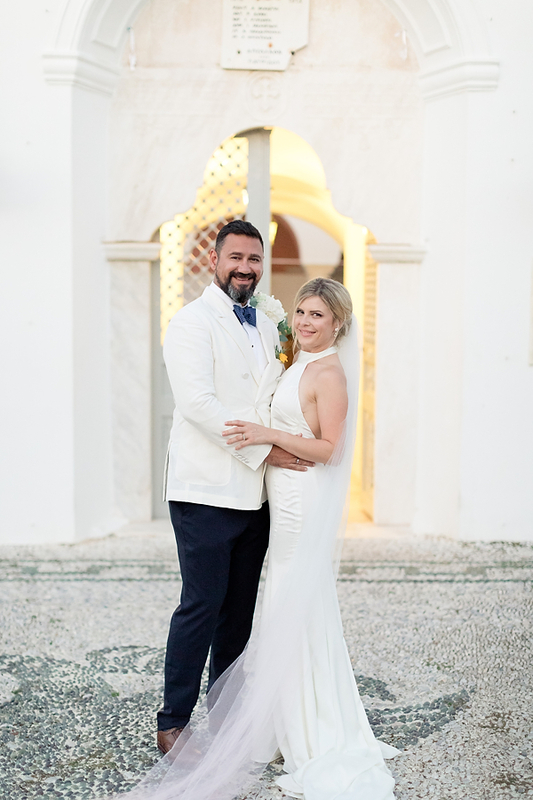 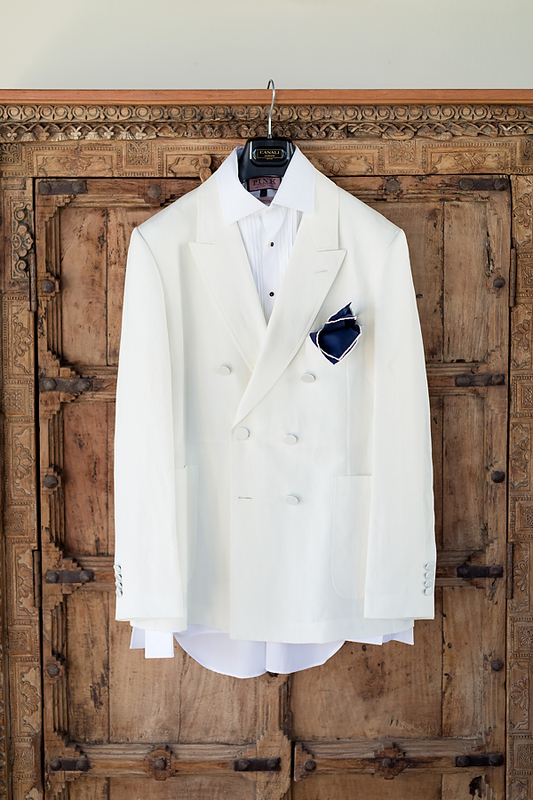 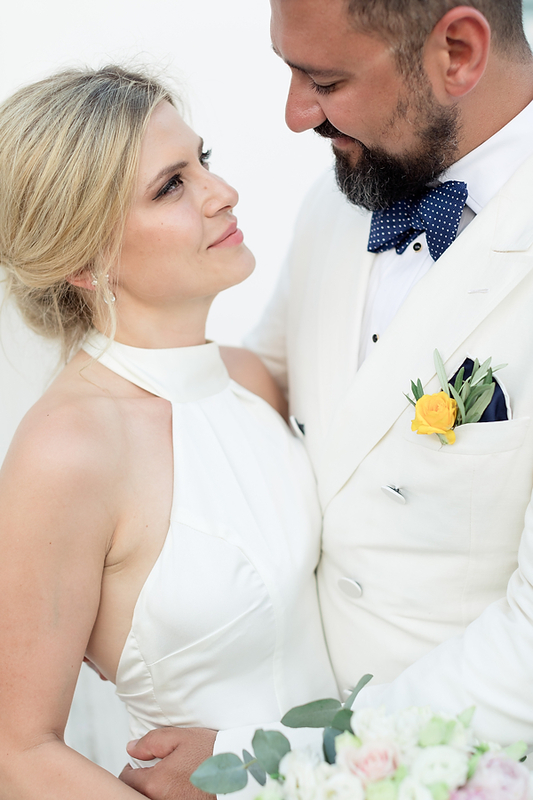 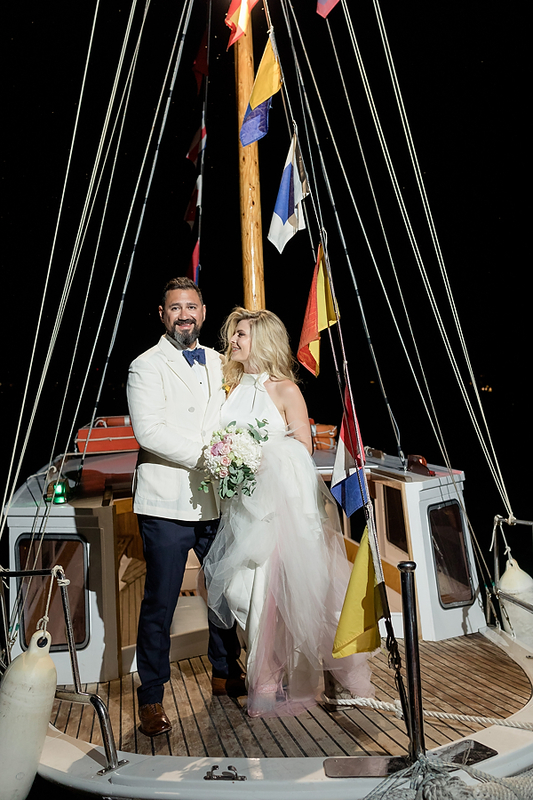 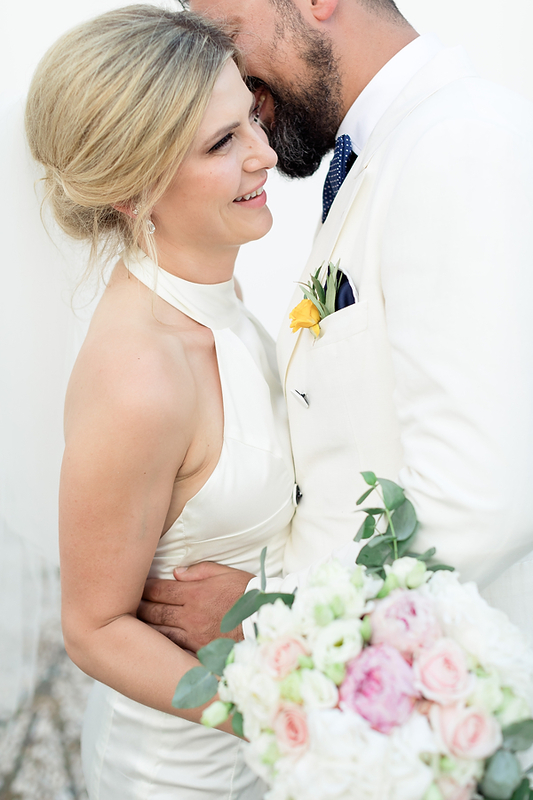 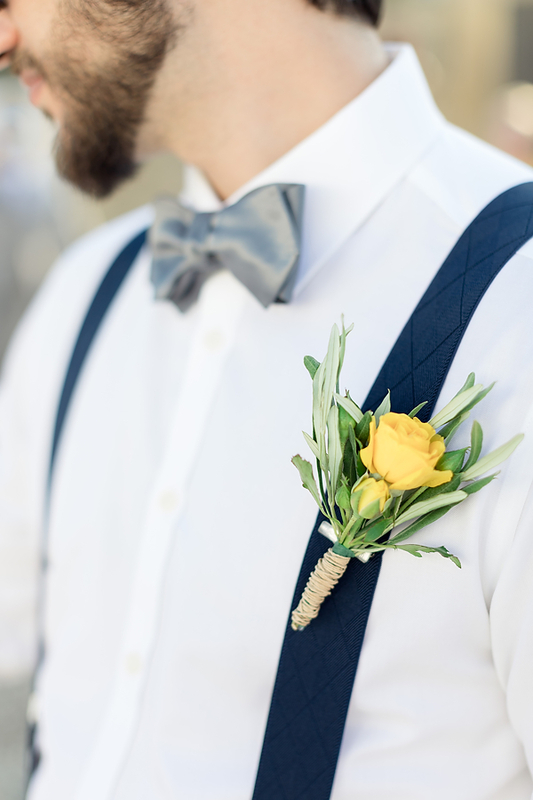 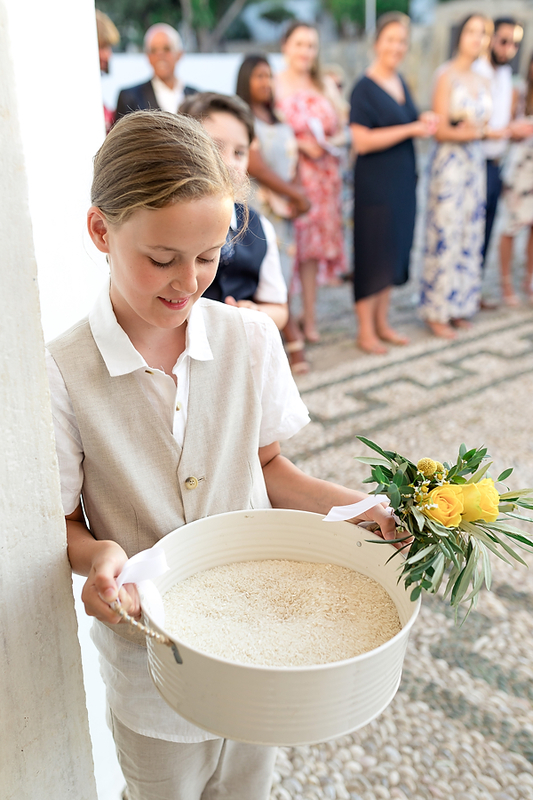 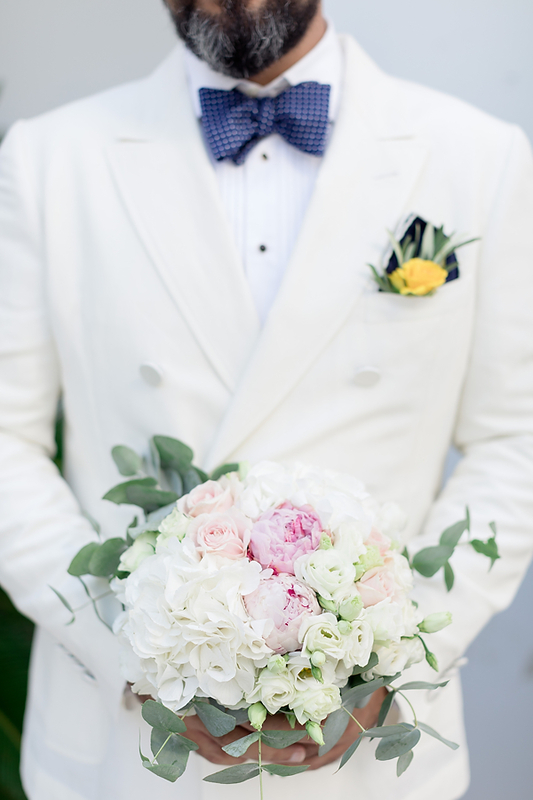 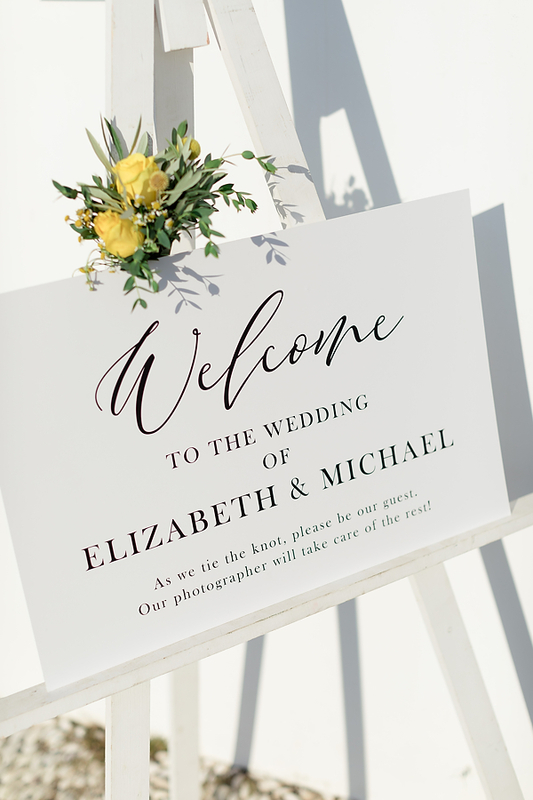 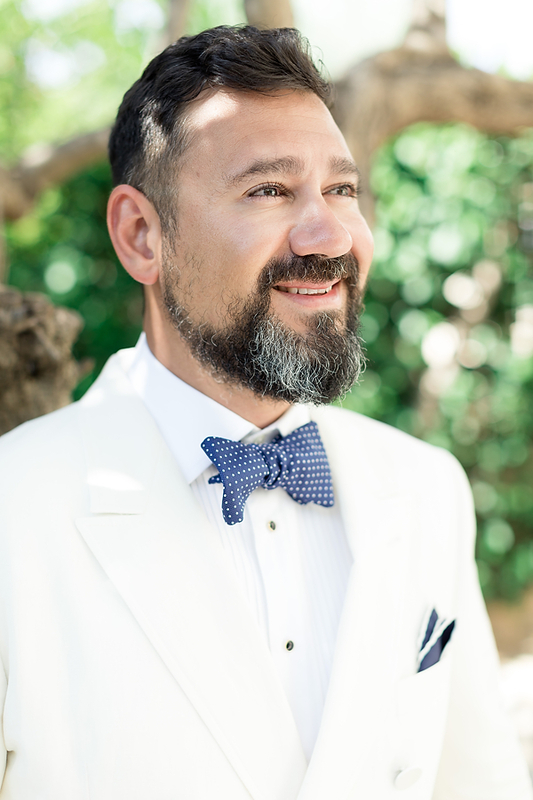 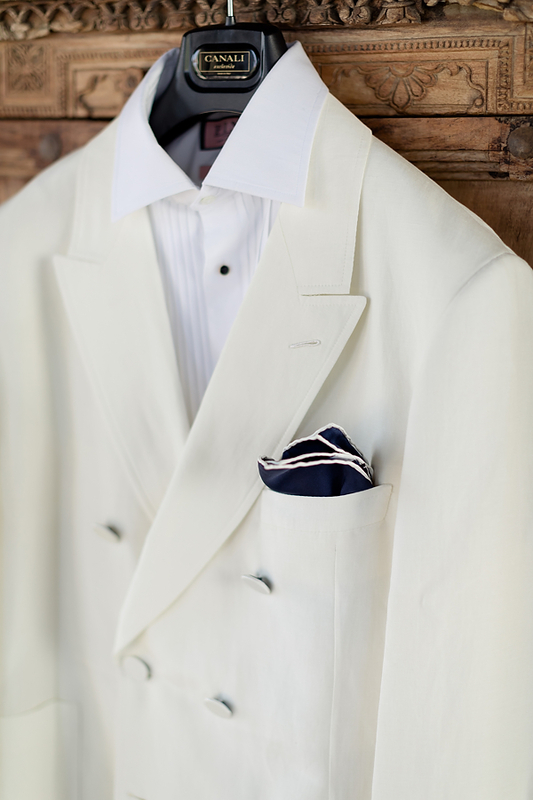 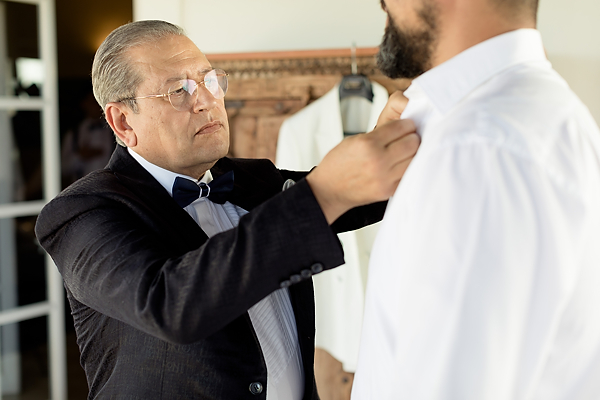 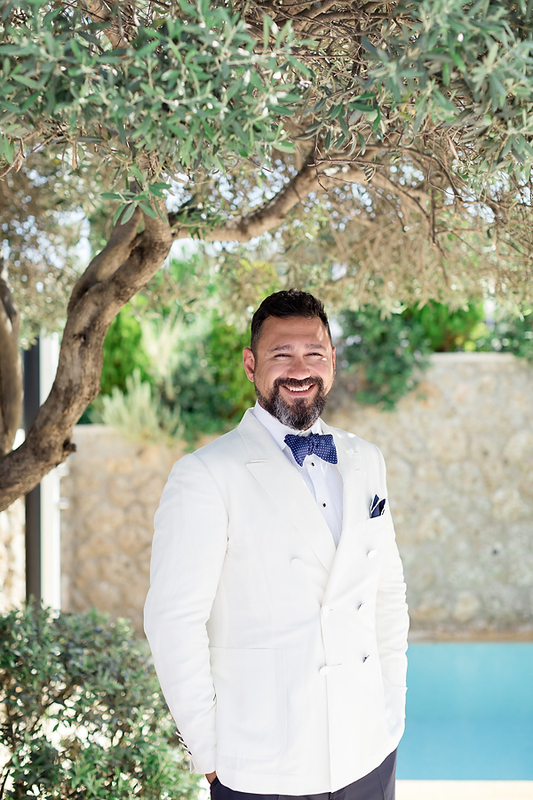 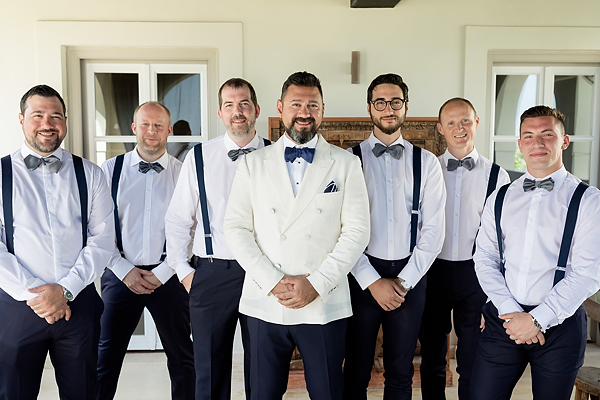 With a dash of a yellow rose in his suit pocket above the heart, emphasizing the love and highlighting the earnest emotions expressed on that wedding in Spetses, Michael chose to bond with Lizzie. 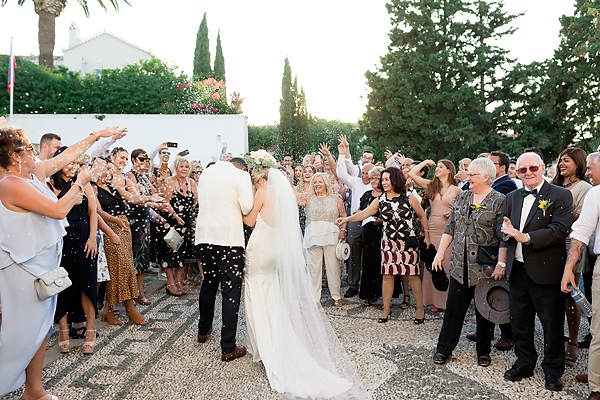 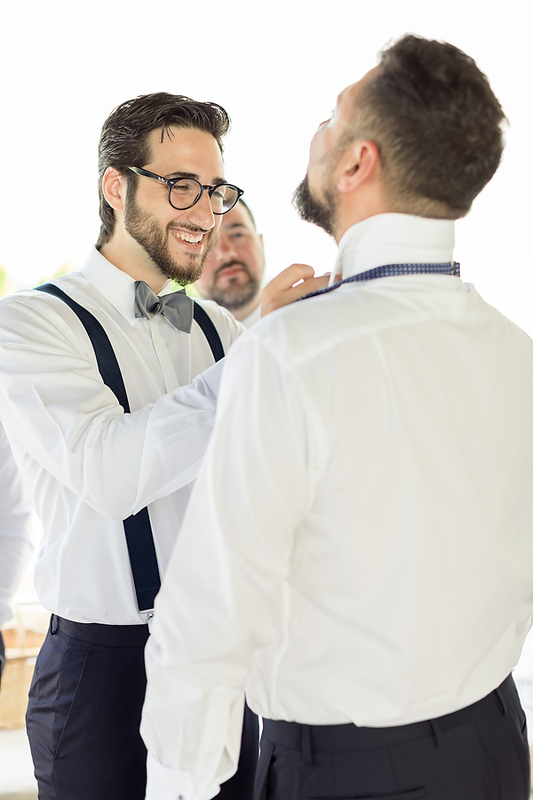 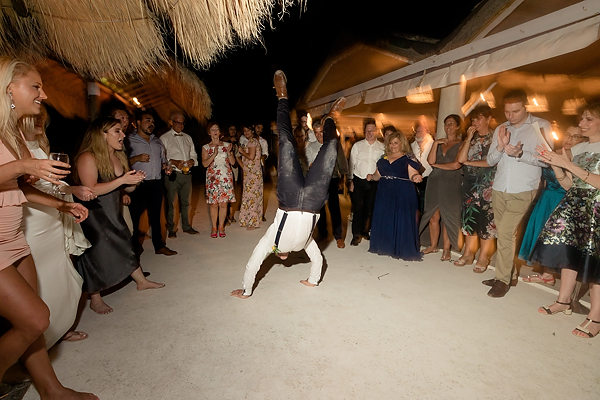 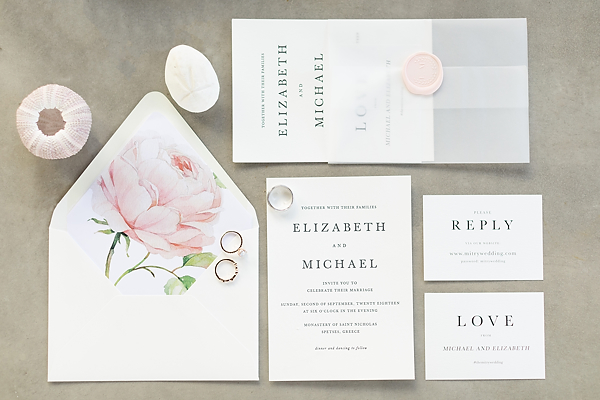 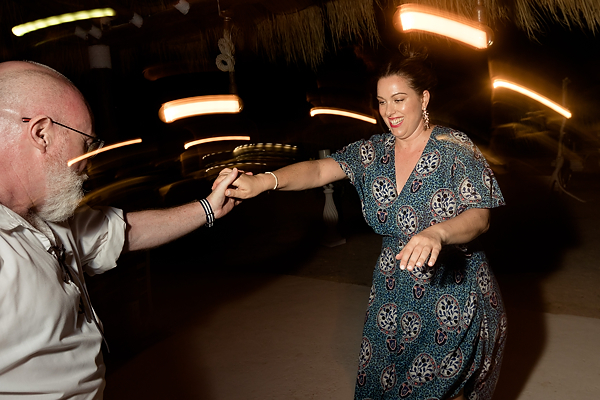 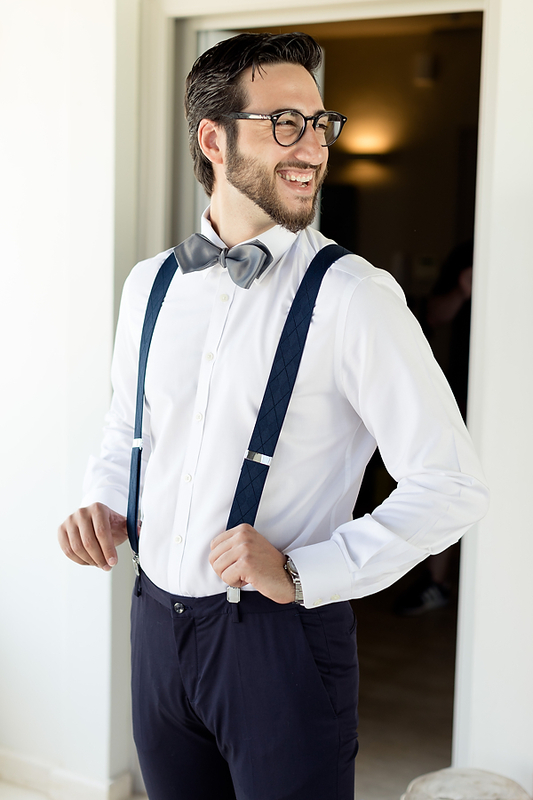 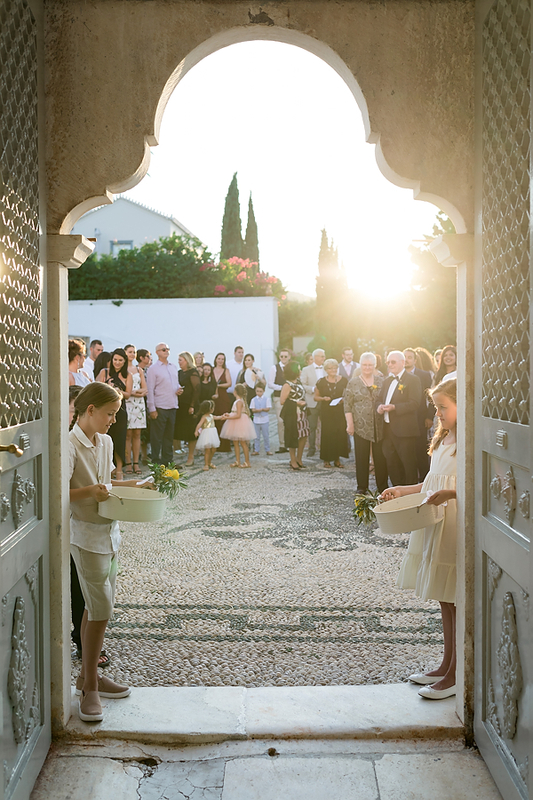 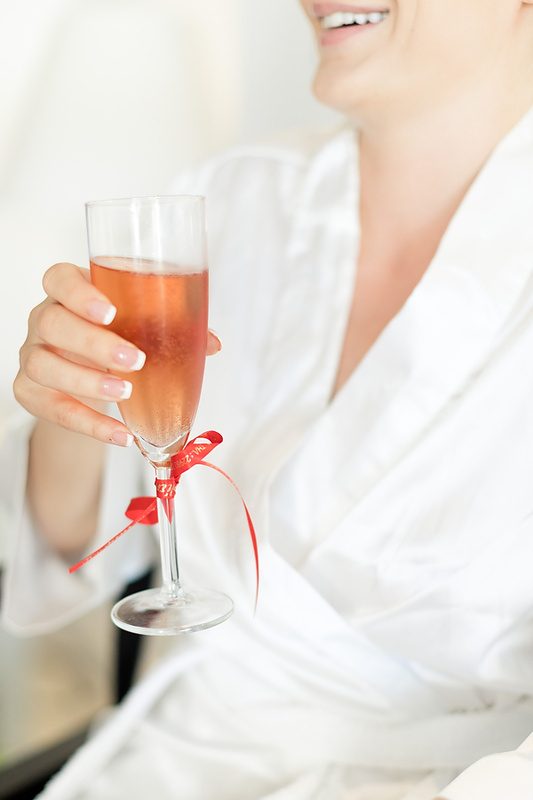 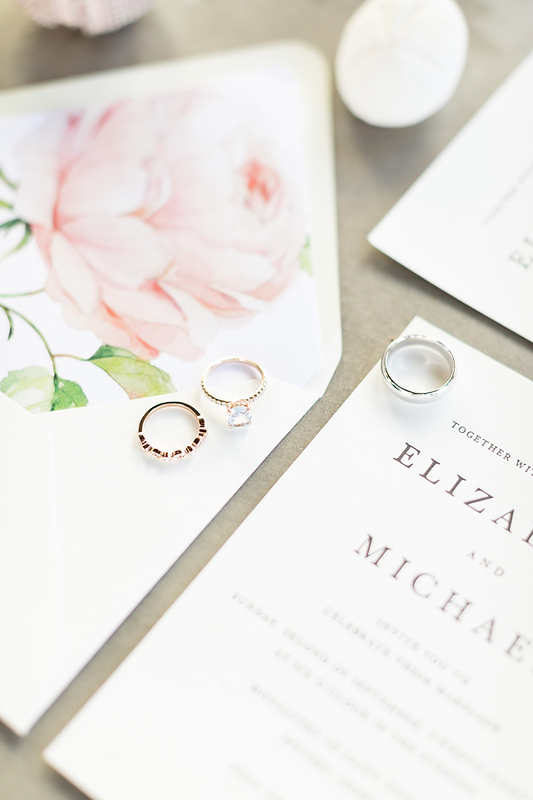 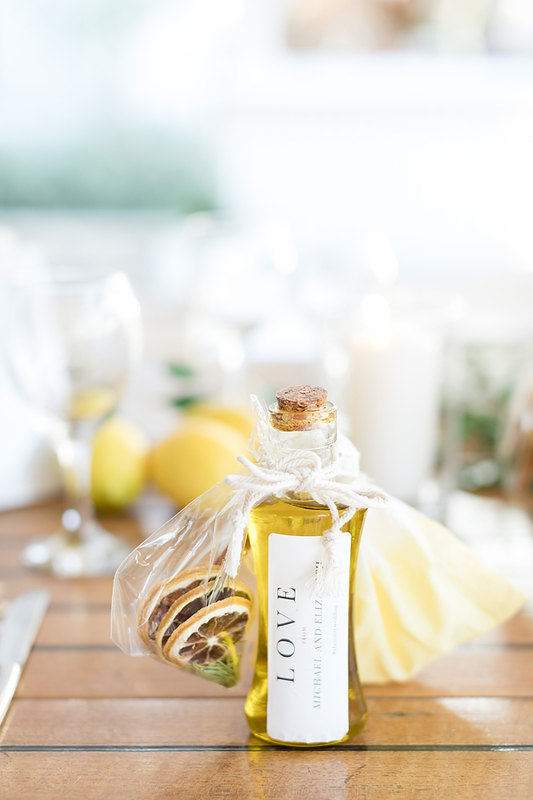 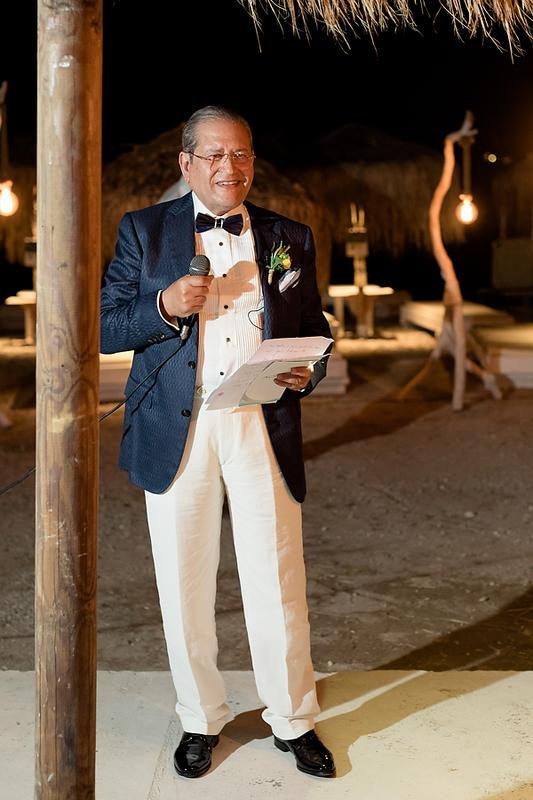 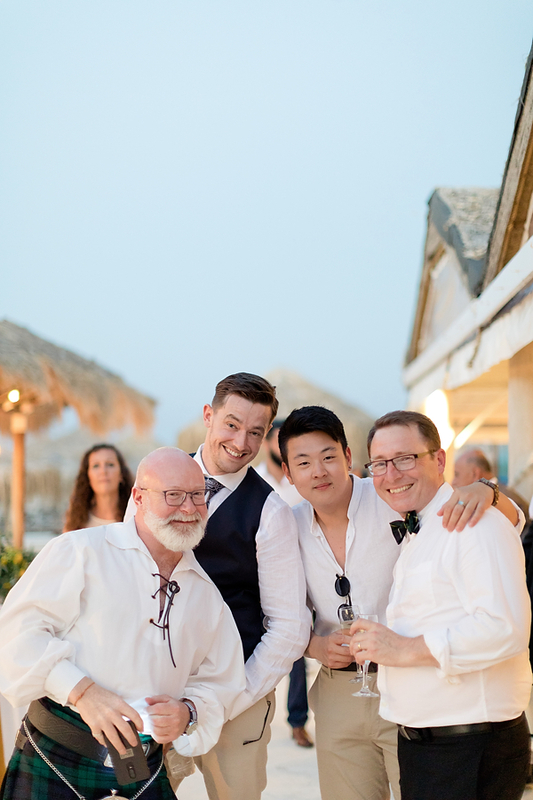 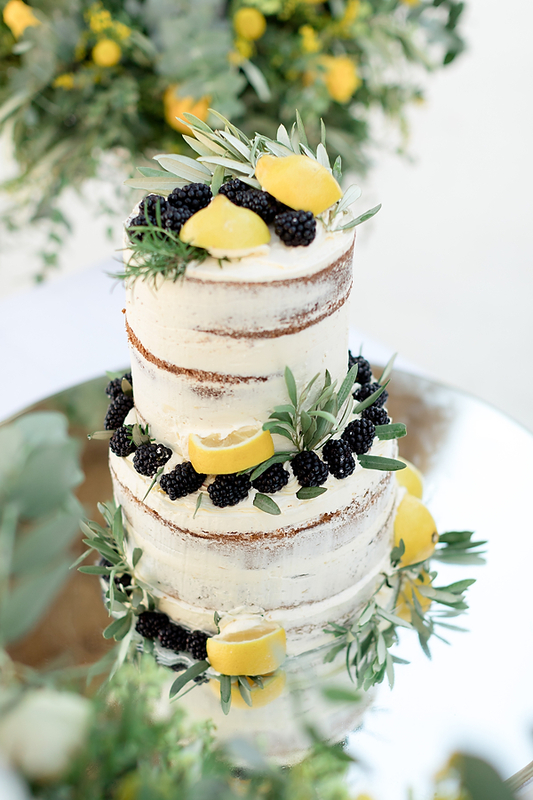 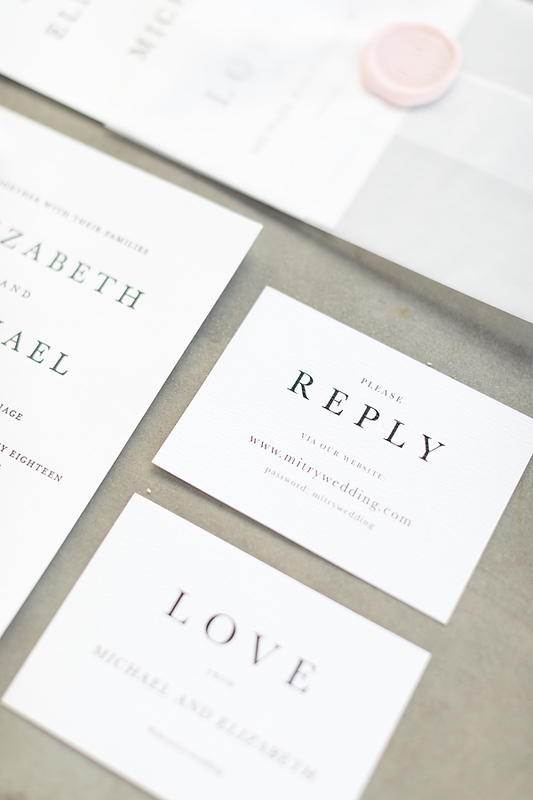 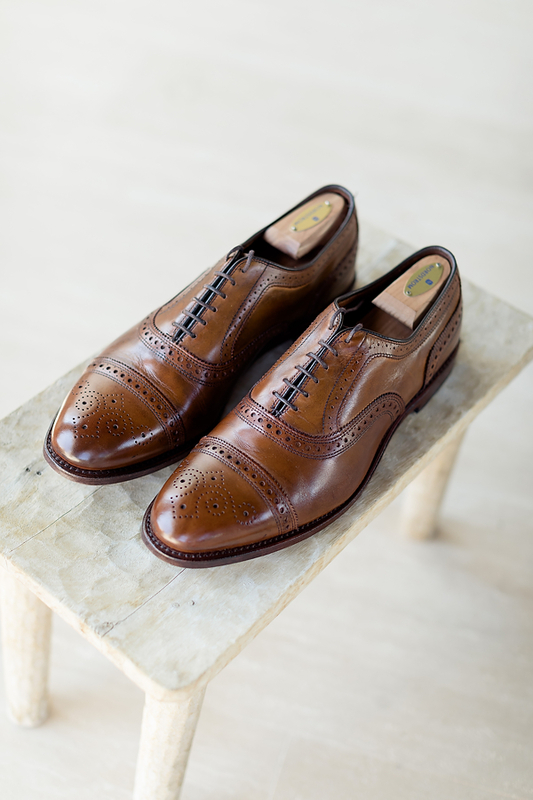 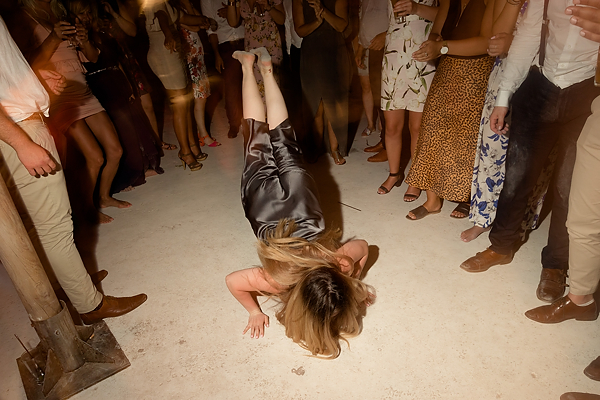 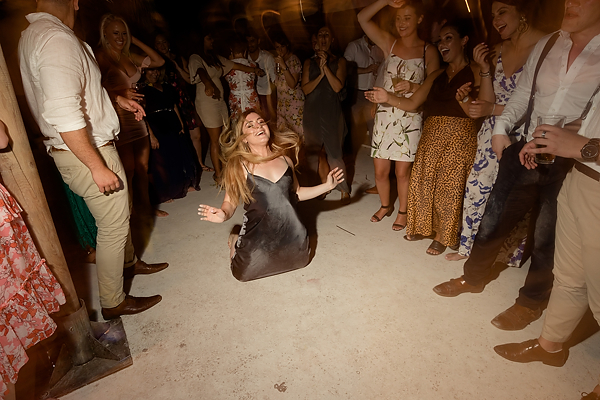 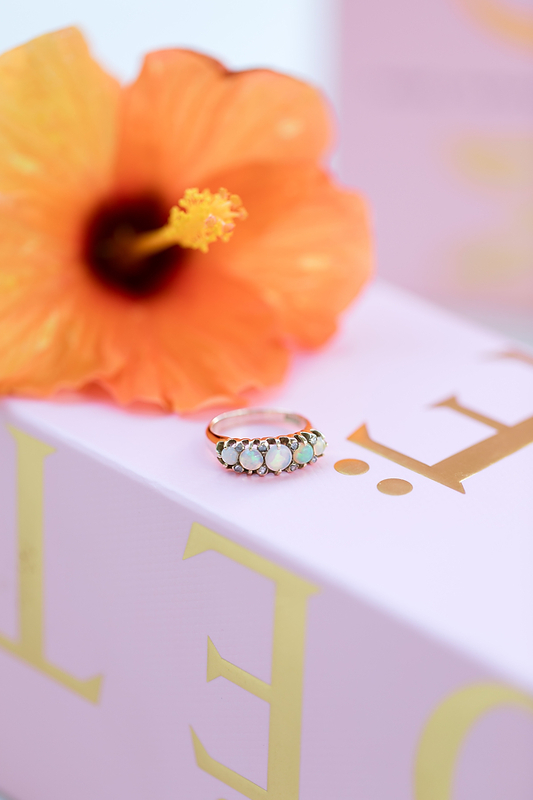 From a pre-wedding cocktail event, up to a traditional ceremony, friends and family joined them to that bash of love and devotion. 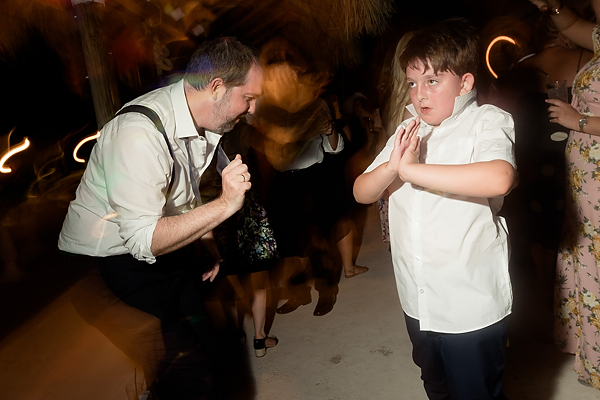 Who says tradition is steady? 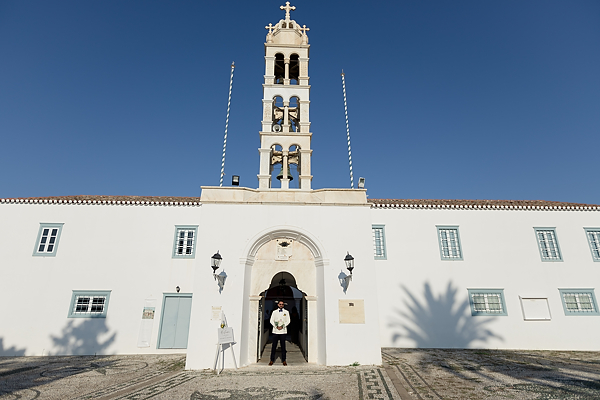 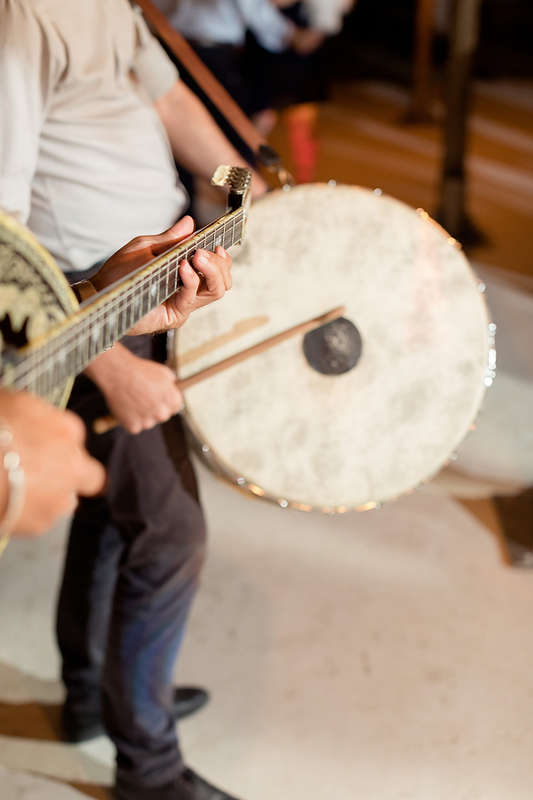 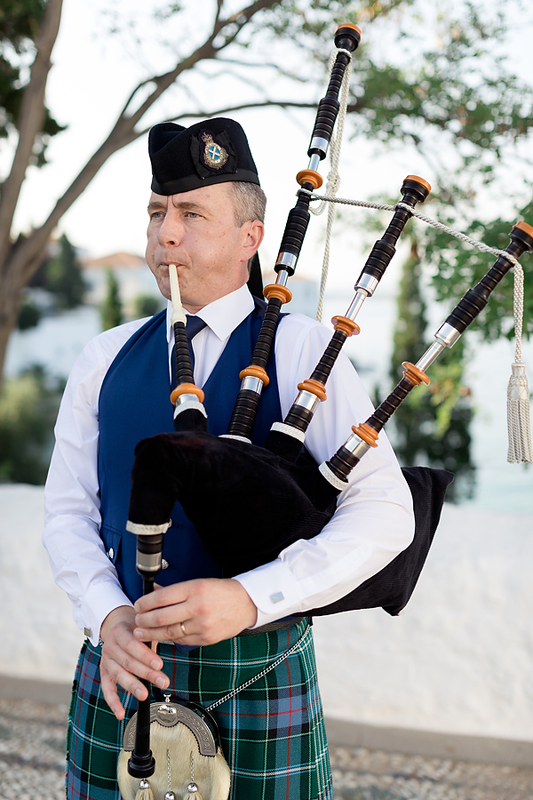 Revealing the lasting British roots, a bagpipe player, welcomed everyone outside the chapel. 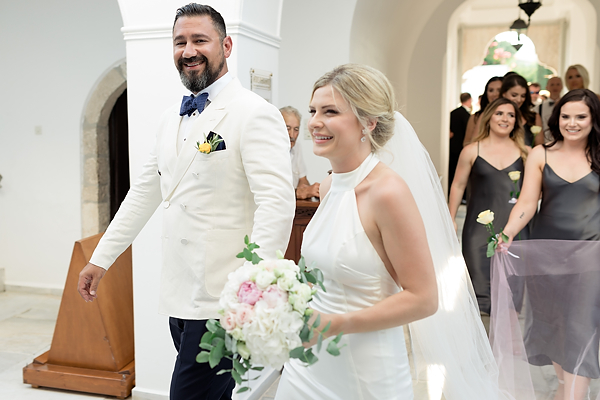 The same corridor which leaded them to their union, leads the couple to the enthusiasm of their beloved ones who wait to water them with seeds of charm, felicity and bliss. 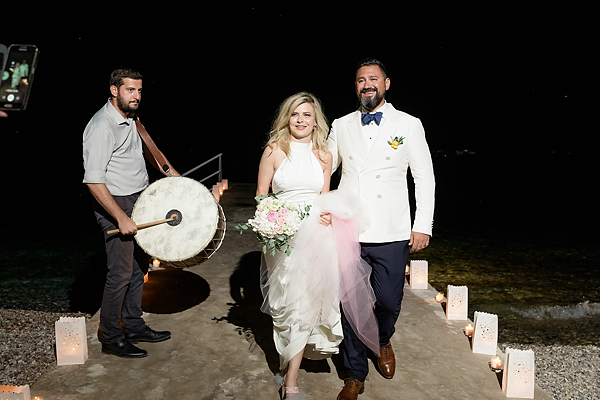 A kaiki (Greek, small traditional fishing boat) brings them to another candle lighted hallway at Kaiki Beach Bar, the island’s wedding venue, to route them where yellow, green and white-gold detailed adjustments are settled for their vigorous and blooming party.